This boat has room for your family and friends and a skipper with a cook or a hostess. She is ideal for long journeys to the unknown. Her main base is in Vodice, but she can take you as far away as you please. Nannies are made to look after everyone, and Gabriela will certainly take good care of you. 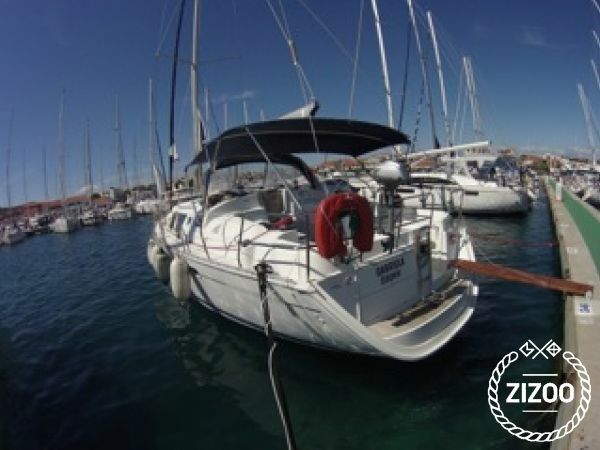 She is a 2002 Jeanneau Sun Odyssey 43 DS that offers exceptional comfort for worry-free ocean and sea voyages. Anything you feel like doing, she will make it possible - having naps or a good night's sleep in her spacious cabins, chilling in her large saloon when you want to get out of the sun, sunbathing on the deck or having snacks in her cockpit as you cruise around islands. There are many in the area to explore, Kornati Archipelago alone will keep you busy for a few days. Make sure you stop by the Adriatic Caribbean-like paradise, Lojena beach on the west side of Levrnaka Island!